Choosing a blogging platform might not be as hard as choosing the entire content management system that allows you to do more complex web projects. Casual bloggers who don’t ask for much can easily go for less complicated services, although WordPress should always be on top of the list when pondering over the platforms. But when it comes to entire content management systems that allow you to do much more than just writing posts, things become a bit more serious. Both #WordPress and #Joomla are great #CMS. But is it really that hard to choose one to start with? Even in that case, WordPress is still on top of the list. But in situations where you think about the whole site, its elements, and all the possibilities, some other players in the game are just as competitive. Have you heard about Joomla? Joomla powers up millions of websites. Those range from simple personal pages to complex web applications and intranets that help people connect and work locally. It is important to know the difference between Joomla CMS (the one we are talking about in this article) and Joomla Framework that allows developers to create PHP-based applications without all the extra features that come with the CMS. When we talk about average users, it is important to know that Joomla is beginner-friendly, updated on a regular basis, features extensive customization options and counts massive online community that’s always ready to help. Sounds like WordPress, doesn’t it? But unlike WordPress that counts more than 140 million downloads, Joomla has been downloaded “only” about 60 million times. The numbers are enormous, but still not even close to WordPress. Although the following video shows older versions of WordPress and Joomla, the basic features haven’t changed that much. Because of that, the comparison is valid for the new versions of the two CMS as well. WordPress is well-known for its straightforward and fast installation process. The site can be online in just about five minutes even when it’s your first. And after the initial log in, users usually don’t take much to understand the basics of WordPress. The entire system is user-friendly, so everything makes sense. There is a learning curve involved, but since most of the options and menus are in reach of your hand, you will be navigating through the admin area without problems. But if you decide that you are interested in more than simple usage, you can always come back and learn WordPress step by step. Joomla is quite simple as well. The installation process is very similar to WordPress’, and many hosting companies feature one-click installation software. Unfortunately, similarities kind of stop here because Joomla feels more complicated to handle after that. The control panel which lets you manage all the modules isn’t that well prepared for beginners. So, unless you already know a thing or two about web technologies, we suggest that you arm yourself with patience. It will definitely take a lot more time to understand Joomla’s control panel and user interface than it would take to understand WordPress. Today, a good content management system must feature some sort of templates and plugins that allow regular users to extend their websites without having to touch code. Both WordPress and Joomla do enable you to extend the system in different ways, but there are still some differences. WordPress is renowned for its themes and plugins. While free and premium themes will help anyone to build a professional looking website even without any coding and design knowledge, tens of thousands of plugins will help you add features that would feel impossible to create otherwise. Not only there are so many items available only, but as we move forward, those same items are becoming more complex. Certain WordPress plugins act like systems on their own and go way outside the original idea of WordPress. So besides sites and simple blogs, you can create entire eCommerce systems, customer relationship systems or photography portfolios, to name a few. Joomla doesn’t fall far way behind. It also offers templates and extensions that can help you achieve many things on the web. But simply because it is less popular than WordPress, there are quite fewer templates and extensions to be found. On the other hand, the same add-ons that you can get are a bit simpler than the WordPress counterparts. Even if your sole purpose of starting a site is not blogging, you will probably want to manage a blog at some point. It will help you attract more visitors to your site and let you connect with the audience. From creating and publishing posts and pages to managing different media files, WordPress knows how to please its users. It won’t matter much if you are a casual blogger a marketing expert – managing content with WordPress will be intuitive and simple. If you love what you write about, you will be happy to log back into the system to start another post with its beautifully designed Visual editor. Joomla is intended for more complex web projects. Because of that, we can’t say it’s quite apt for blogging. While it is possible to run a successful blog with Joomla, the chances are that you will have a harder time managing one in the long term. Even some experts on Joomla run their blogs on WordPress. Because of that, we suggest that you forget about blogging with Joomla and start fresh with WordPress instead. You will save time, money and your nerves. Official support pages can help you get started with WordPress. You can read documentation files that will explain basics, and you are always welcome on support forums that count thousands of active users. All of that is, of course, free but you will have to do the work and research the problem you’re experiencing. If you need more professional support, you won’t find any official emails or phone numbers. But you can always hire maintenance services to do the job for you. The truth is that most of the users use free forums, social media groups, and online resources when it comes to support. Although as not as popular as WordPress, Joomla still counts tens of millions of active users. So it doesn’t surprise that it has got an active community. Finding help in form of tutorials and various articles and videos won’t be a problem. Also, there’s quite a nice number of lively forums where you can ask for help, but for starters, you should check the official support page. But unlike WordPress, it is hard to find Joomla experts who will do different customization tasks for your site. It doesn’t matter how beginner-friendly is one CMS or how well supported is the other one if none of them are secure enough. Luckily, both WordPress and Joomla got you covered in this field. WordPress is the most popular CMS in the world. Unfortunately, that also means that is the first target for hackers that look for random websites. Despite that, WordPress is safe. The developers have made it sure that the code is as secure as possible. In addition, you can expect frequent updates that keep the system safe all the time. The important factor in security is the human behind the site. Most of the times, it’s up to you keep things safe and hidden from the noisy eyes. Among thousands of plugins that we mentioned, WordPress users can feel extra safe if they extend the CMS with security plugins. 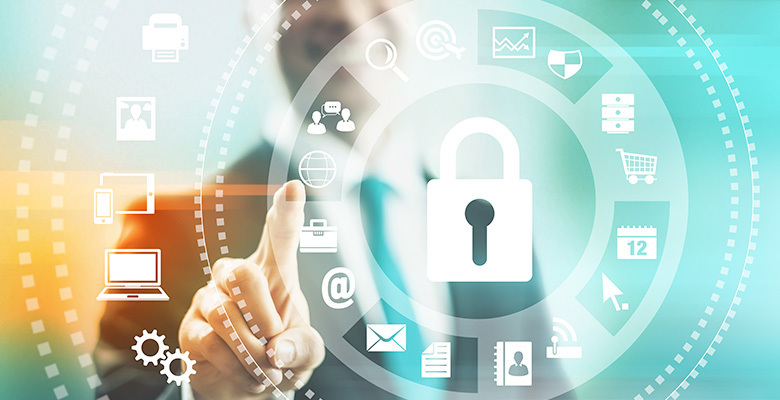 There are hundreds of security-related plugins that will help you protect your website. Joomla isn’t very different when it comes to security. The developers are always hard working on new updates and fixing security issues on time. Just like WordPress, some great security extensions will help you with the site, but also keep in mind that the user is responsible for the security of his domain. Having a site in more than one language is becoming an attractive feature. Many website owners just need to have the content in two or more languages to satisfy all of the audience. Although both WordPress and Joomla allow you to create multilingual sites, they behave differently. WordPress does come with the option to set a language of the site at any time, but it doesn’t support creating multilingual content out of the box. Luckily, there are some amazing plugins that will transform your plain website into a multilingual system that’s easy to use, but you will probably have to spend a few extra bucks for licenses and subscriptions. 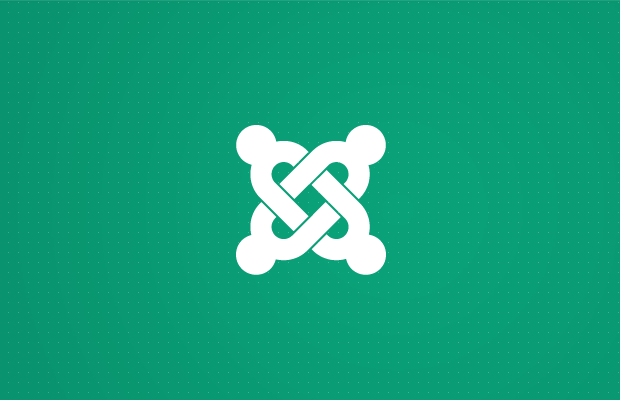 Unlike WordPress, Joomla offers multilingual options from the very moment of the installation. You just need to select an additional language and start translating the content. It is also possible to quickly change the admin area languages. And you won’t have to install other extensions nor pay for 3rd party services. After a quick glance, WordPress and Joomla look very similar. In one way, that’s true, but they are also different enough to make it easy to choose one for your site. If you ask us, WordPress is the overall winner. It is definitely more suitable for beginners, yet it still allows you to expand a website into a more complex project. WordPress will let you develop the system more easily as it features a repository full of themes and plugins. Hiring maintenance services and professional designers/programmers are much easier since there are simply more people devoted to WordPress than Joomla. 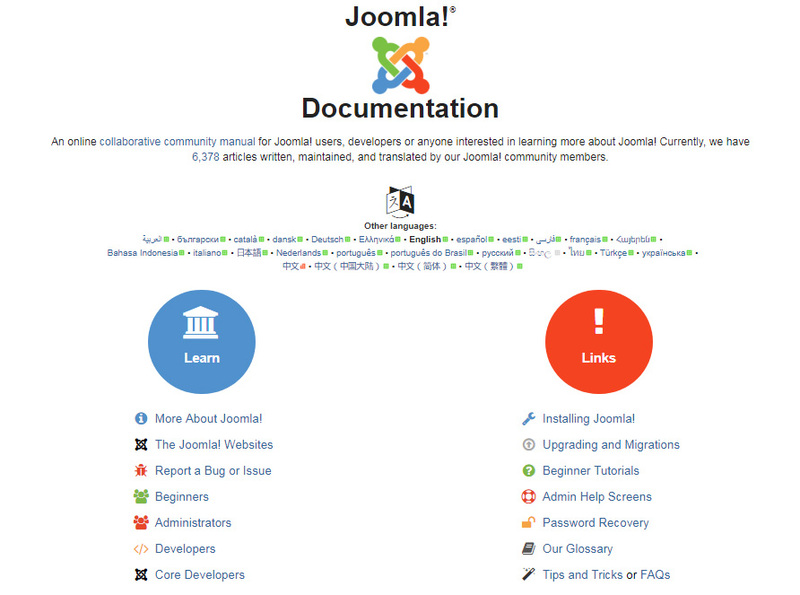 On the other hand, Joomla is definitely more complex and comes with more built-in features. It can help professionals to build more complicated websites because it offers more technical options from the very start. But those same options may unnecessarily confuse newcomers. Also, Joomla isn’t as good for casual blogging. For our large corporate clients Joomla is the way to go. Yes, WordPress is easier and hence why it is more popular than Joomla and Drupal. For us developing custom features and complex websites Joomla and Drupal is the way to go. From our experience most the developers on WordPress are not as experienced in coding vs. Joomla and Drupal developers. I love that Joomla has some great features available by default. SEO and language tools are essential for many sites. Even just to add a meta description by default should be a feature that I am amazed WordPress doesn’t include in the core software. It also concerns me that lots of the WordPress plugins are small code additions that could be added as a snippet in functions.php rather than adding to plugin-bloat. Try to override plugins output in wordpress, it’s almost impossible in Joomla it’s using modules and you can override almost any output how the html is formed without trying to hack css of every element. Wordpress is good if you found perfect theme but if you need custom solution is better build a Joomla site. Oh and don’t get me started on theme building as almost none of the themes give you less or sass files that compile on the go where in Joomla it’s almost a standard. WordPress good for noobs and theme grabbers. I have developed more than 30 sites on Joomla and find it a lot more versatile and capable – it’s less important to get the “right” template/theme, and you need fewer extensions; more capability is built in. But for a blog where comments are important, I started with Joomla but have now switched to WordPress. It’s more capable and simply better with comments. So I would definitely choose Joomla for every site except a blog. WordPress started as a blogging CMS and is still ahead for that. We use Joomla for all of our clients. We tried WordPress, it is good, but we love Joomla and its powerful and flexible system. And in 2018 we will have Joomla 4! I have developed a number of websites. The first couple of CMS sites I did was with WordPress. Then, in spite of the learning curve, I decided to try Joomla. I never went back. Once learned I actually find it easier to use. That being said I will soon be developing a new site primarily as a blog. I already own numerous premium themes and extensions for Joomla so I am leaning towards using that. My only concern is whether Joomla will be as good as WordPress not for casual blogging but for developing a business blog for profit. Reading your article is part of my research. Thanks for the post! I’m with you — I use Joomla. A much more capable platform, and and more secure. For a business blog, I’d look at the easyblog component. I’ve used it for a few business blogs and it provides great features. I’ve used both WordPress and Joomla to create sites, but for my corporate sites, I use Joomla. Once you know Joomla, it’s amazingly simple to use, and it’s much agiler and controllable than WordPress. However, I do think that some of the Joomla documentation makes it sound way more complicated than it is and that’s a disservice to Joomla. I say, watch a couple Joomla tutorials and give it a try. Also, SiteGround hosting has a one-step Joomla install that’s super easy to use. Why a screenshot from Joomla! 2.5? This version is quit old. End of life for 2.5 was 31 dec 2014! Thank you for noticing – we have mistakenly added the old screenshot from our library! It’s updated now.